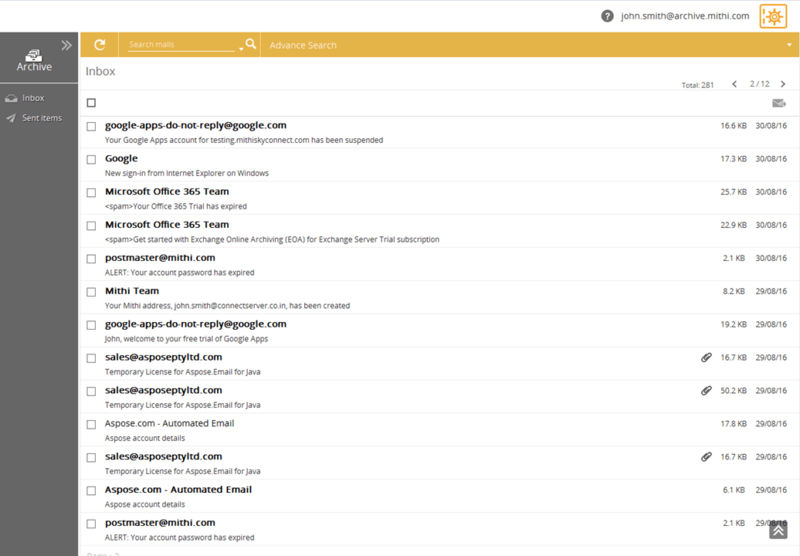 Owned by Mithi Software Technologies, Vaulastic, is an easy-to-use email archiving solution that works with Office 365, Google Apps for Work, Microsoft Exchange, and other email providers. The software is designed to help your organization with all discovery, compliance, and business continuity needs. All of your email data is securely stored in AWS data centers, ensuring maximum durability and protection against outages, data loss, or corruption. Vaultastic offers simple retention plans, all with unlimited cloud storage, and multi-layer security. The system is tamper-proof and safe from accidental or malicious deletion of mail and user accounts. In-line email archiving ensures that every email is saved before it’s even delivered to the recipient’s inbox. No infrastructure, storage, or manpower provisioning are required. You can use Vaultastic to restore any specific email you might have lost from your primary account or restore an entire mailbox, to seek, locate, secure, and search email data for use in civil/criminal litigation or during audits, and to access archived mails via a self-service portal, which also acts as a disaster recovery site. All email data is encrypted and read-only. Not sure if Vaultastic is right for you? Use our cloud backup and storage Product Selection Tool to compare more options. Have questions? Call of of our unbiased Technology Advisors for a free consultation. Learn everything you need to know about Vaultastic. Our experts will reach out to you shortly.